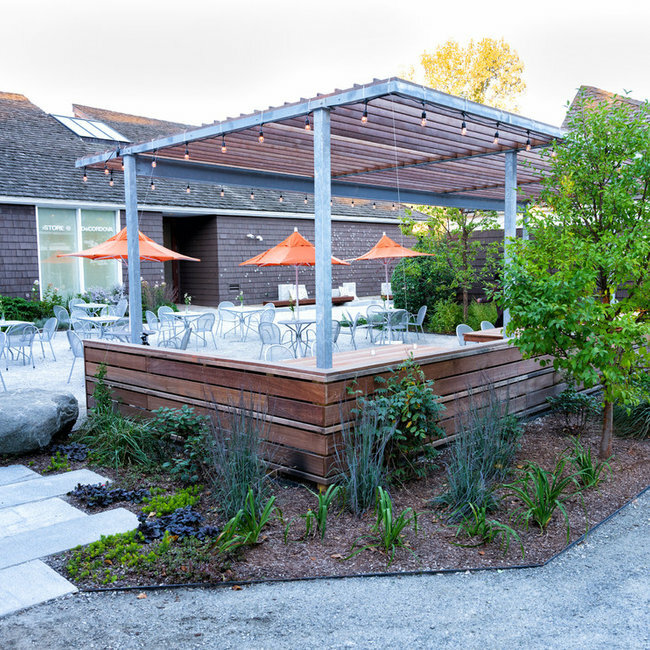 A community-inspired project to bring life to the space outside the newly-moved deCordova Cafe. SegoDesign developed the overall design and oversaw all aspects of design and construction. 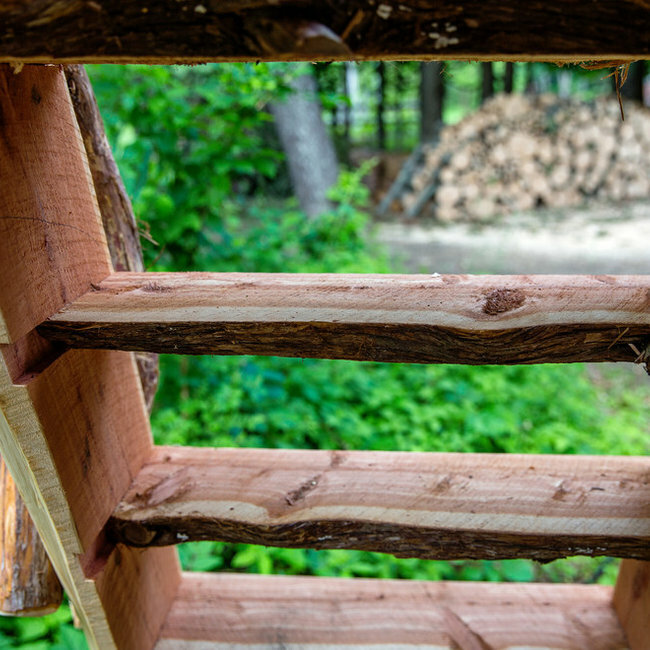 Many thanks to dream team designers and implementers: Nick Maynard of Maynard Design, Wendy Harrington of WAH Design, Pauline Curtiss of Patina, Robert Young of NE Stonemasonry, Bill and Andrew Ackels of Ackels Steel. THANK YOU! Best of Boston al fresco dining award winner. Edible, Mediterranean-style (abundant! overflowing!) garden with a rich plant palette in a very small space. 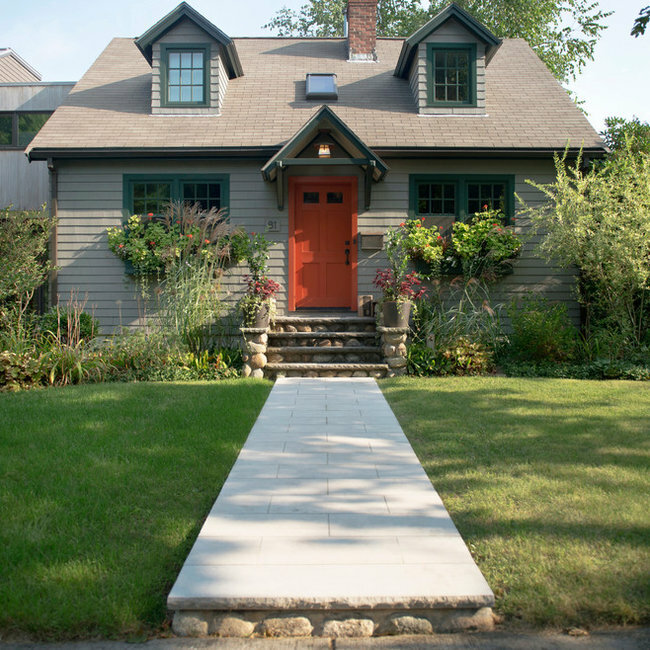 A small Cambridge garden needed color and spatial definition. 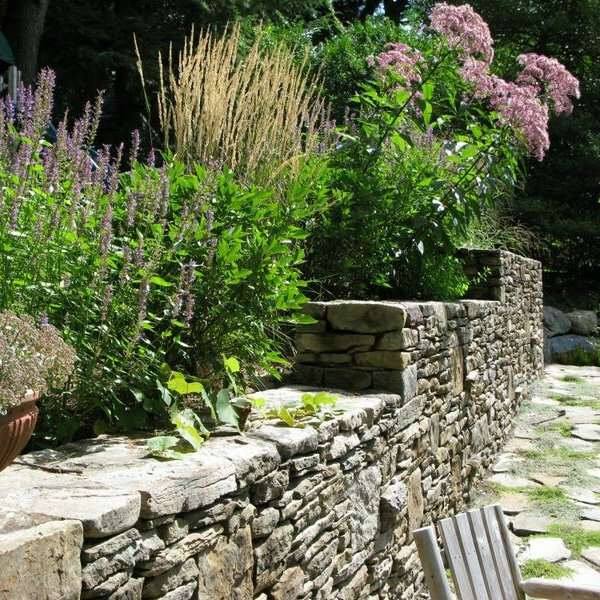 Two mini-patios, one for sitting and one for dining, connect with a slanted bluestone path and lots of plantings for year-round color and interest. 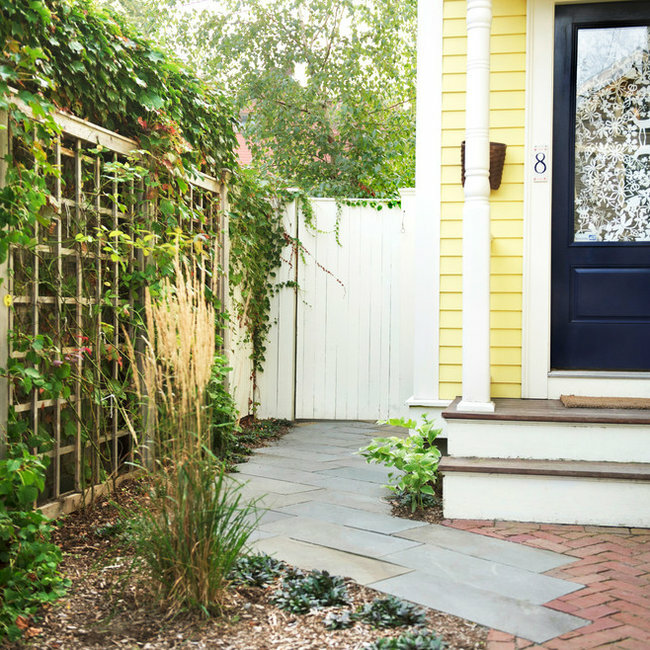 Vertical surfaces are utilized and planted with vines to help the small space sing lushness. Lighting and a rich mix of materials: bluestone, brick, cobble, copper, stainless steel - make the space feel lived-in, layered, and lively. 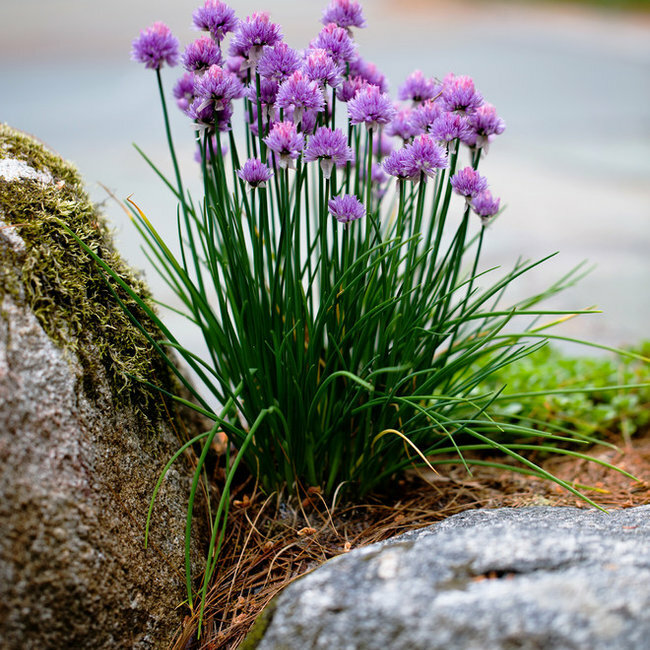 A season-round blooming (even winter! 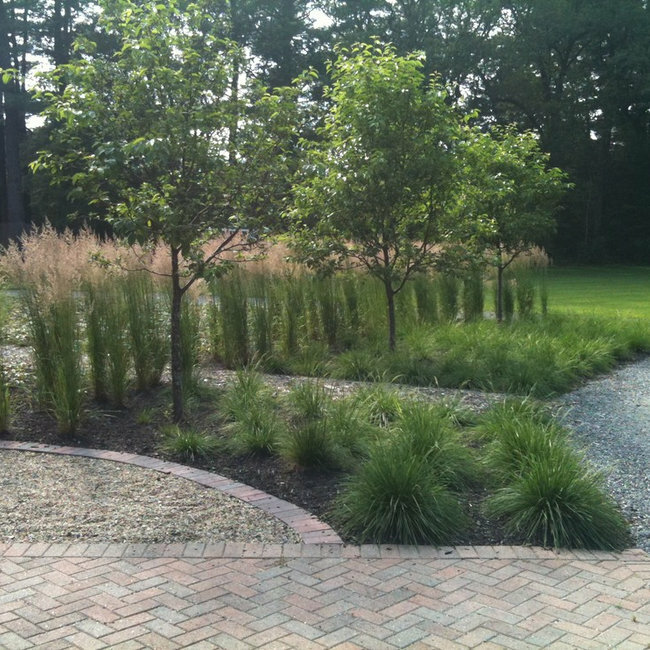 ), low-maintenance, low-grass design highlighting native woodlanders and cousins of native spring ephemerals. A garden on a slope, with retaining walls to create mini-terraces, a seat wall at the base and a winding ramp through the middle. 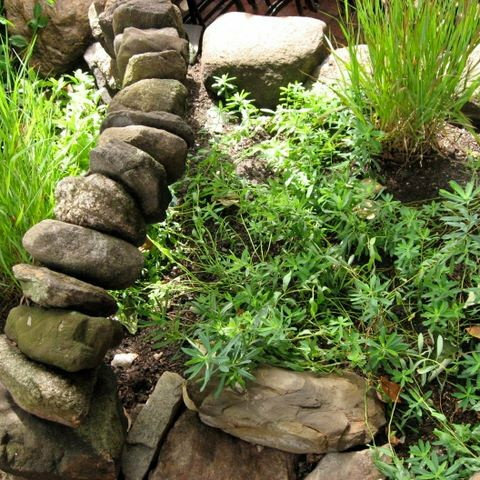 Little details to delight: chalk ledges and space to draw on the stonewall, little furniture half-way up to rest in, gathering spots for shells, sticks, and pebbles, moss pillows, and ice-gathering rain chain near the pebble fountain. A rich plant palette keeps this project shining year-round, amid annual lettuces, beans, and herbal edibles. Espaliered trees and vines enclose the middle terrace to help it feel safer for little feet. 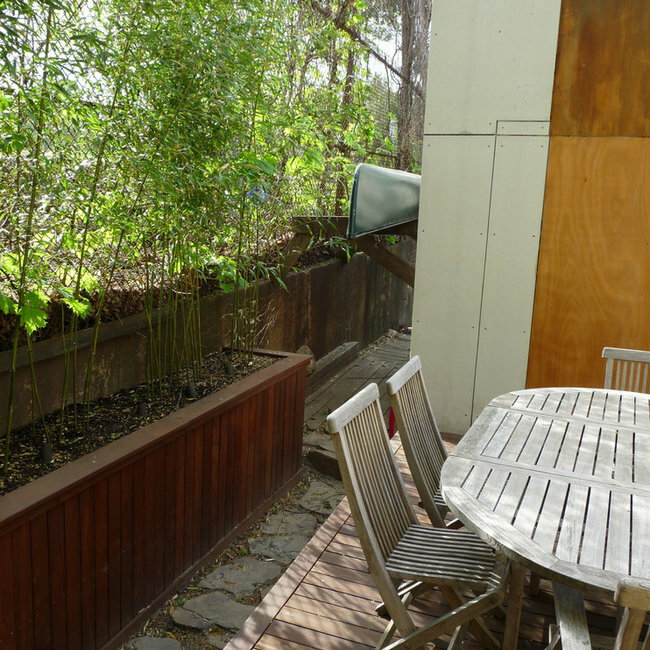 A terraced high patio makes room for a bamboo-edged grass play area below, with a trickling water feature along one side. 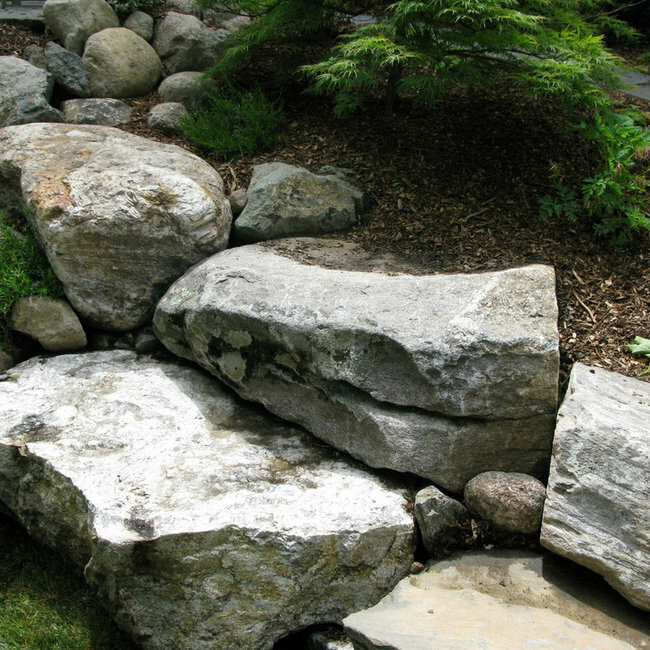 Natural stone and foliage texture figure large in the design, with an eye toward creating micro-spaces for children to find footholds, fairies, and fun. Condo development in South Boston with small planters in a concrete jungle. 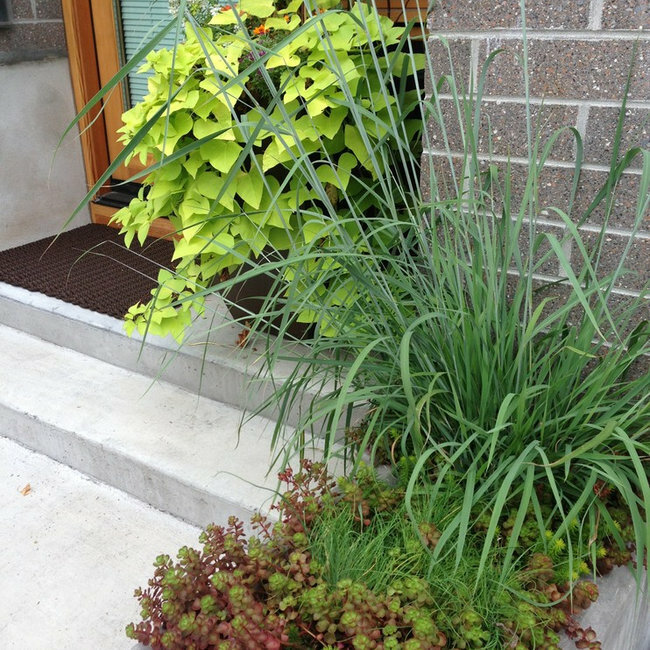 Sub-irrigated planters with super-wicking engineered soils created a LEED-rated environment for edible and medicinal plants to thrive and provide nectar for beneficial insects in the city. Six-acre edible estate in Lincoln with conservation land and trails. 9-year phased project with native herbal meadow, terraced bluestone patio, sunken barn patio, greenhouse, maple sugaring shack, orchard, native meadow, native bee plantings, grass massings, lush front grass plantings, cloister garden with pizza oven, raised reflecting pool, night lighting, and espaliered wisteria, trees, and vines. 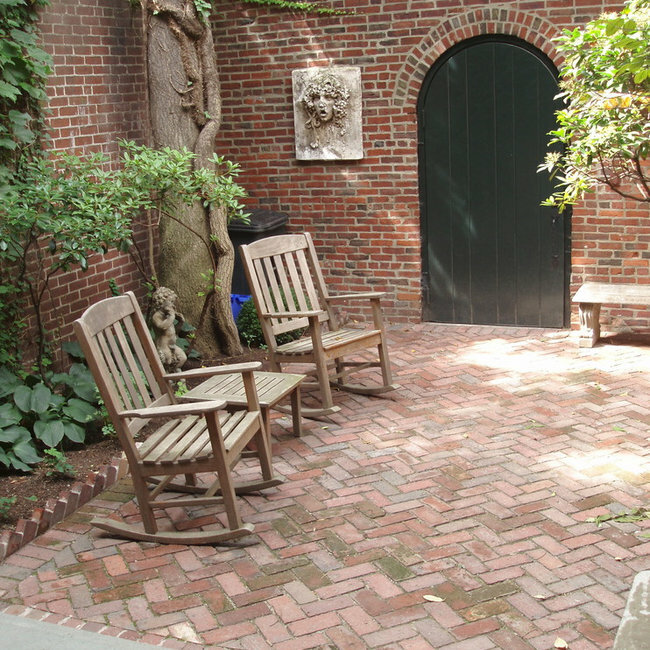 A brick walled courtyard in Beacon Hill, often on the garden tour in spring, with traditional plantings for shade and custom details for stairs, edging, drainage, and bay window sill.